The most challenging day is the first. Friday's stages are based in Mid Wales, and feature some of the longest in the competition. The challenging Sweet Lamb, Hafren and Myherin stages have been features of Rally GB for decades, and warrant a remote service indoors at the Royal Welsh Showground in Builth Wells. The day opens with a long road section – 84 miles worth – and that's just to get to the re-fuel and rendezvous point before the first stage! From there it's a 32 mile drive to the first stage – 20 miles worth of Hafren Forest. It's almost certainly going to be damp, muddy and with some narrow roads between the unforgiving pine trees of the forest, the drivers will need all the concentration they can get. They won't get a rest on the roads of Sweet Lamb, but at least they should be more familiar with the area. It's a popular testing spot for the teams, but it's still demanding – there are some big rocks and drops, especially around the quarry section, and some big names have come to grief here in the past. Myherin is very fast and very narrow, and at 18 miles, is no picnic! The crews tackle all 3 tests in the afternoon after service, then return to Cardiff for the evening's podium ceremony (the fastest time of the day is awarded), before the mechanics can get to work on the evening's 45 minute service session. Saturday is no less of a challenge. After a day in mid Wales, it's all about the beautiful Rhondda Valley today, starting up in the Brecon Beacons. Opening with the longest stage of the day, Rhondda – which is a fast and twisty test full of traps for the unwary – the teams move on to two other classic stages, Crychan and Halfway, which are both exposed tests conducted at close to top speed! The crews will be driving back to Cardiff for servicing today – a 42mile drive. Once again the tests are tackled twice and the evening is rounded off with the podium again. Sunday is the shortest day, with only 2 stages. Port Talbot is the first half of the former Margam Stage, and is a quick downhill stage with plenty of sharp, slippery corners to catch out the drivers. This is followed by Rheola, featuring Walter's Arena half way around it's length. This artificial arena built in a former opencast mine features two huge jumps and goes around a lake giving the spectators plenty of time to see the cars and drivers in action. It's only a small part of the stage though, and the rest of the stage features stunning views as the cars wind their way down the side of a mountain towards the town of Neath. Last year, Wheelnuts took at look at Walter's arena from private entry, Dave Matthew's Group N Subaru Impreza, The video is on the main site. Then after the second running, it's back to Cardiff to crown the new champion... whoever it'll be. It's all about Hirvonen in his Ford Focus, and Loeb in his Citroen. With only a point between the two drivers, whoever finishes first out of the pair will lift the championship – Hirvonen's first, and Loeb's 6th in succession. Technically the conditions and surface should favour Hirvonen, but Loeb seems to be good on any surface and in any condition! Out to spoil the party is Petter Solberg in his new Citroen C4. Similar to, but not as advanced as Loeb's, the new car is being run with the assistance of Citroen's junior team, for whom he's been nominated to score points. He knows the roads well, as does his co-driver, Phil Mills, and has won the event 3 times in the past (although once by default). Petter Solberg is determined to show the world he still has what it takes to compete at the highest level of the sport, and could well be seen in a works seat next year. Well, they don't get more unusual than the lake in Walter's Arena, complete with waiting frogmen to fish out the drivers! but the biggest obstacles are the trees, and occasionally particularly big rocks hidden in the gravel and dragged out by preceding cars. The narrow stages can also be cancelled by big accidents that block them fairly easily. The other likely problem is the weather. This week, the rain has been heavy, and is currently light. If it's wet, it'll be very wet, if it's dry we're in for a extremely fast event – followed by a huge accident. Spectators on Rally GB's of recent history seem to enjoy a good moan about how they're not allowed to stand in the middle of the stage to get photos, and are restricted to designated spectator areas. These areas were brought in on the insistence of the FIA, and the organisers made sure that the rules were followed (to a point, it's still possible to spectate outside of them provided you stay safe). Typically, pretty much no where else on the WRC calendar took them seriously! There are also quite a few rose tinted spectacled visitors and others who will gladly tell you that the event was better when it took a week to go around the country. They're best ignored really, and take great pleasure from trying to ruin the event for everyone else. Other than that, if you value your eardrums, avoid anyone with a Norweigan Flag. Earplugs. And warm clothes. It's freezing in those forests at this time of year! Maybe he would still drive for Ford in the future after all. Loeb's season went from bad to worse in Greece, with a very rare DNF for the Frenchman. He was kept company by the only other former world champion in the pack, Petter Solberg's Xsara didn't like the rough roads of Greece. And who could blame it? It's almost as bad as Cyprus! In 8th, was a driver no one expected at all, The largely unknown Lambros Athanassoulas was another production championship driver, and only competing because it was his home event. 7th was Nutter Østberg, In 6th, Khalid Al Qassimi got greedy and wanted more than just one point this time, thank you very much, and Conrad Rautenbach actually finished in the points. He finished 5th. 4th was Villagra – when he turns up he's pretty good – Latvala continued to appease the wrath of Malcolm Wilson by finishing 3rd, Ogier lived up to his past form in 2nd having finally gotten used to the C4, and for the first time in the season, Hirvonen took a win! Into Uncharted territory for the next round, the dry gravel roads of Poland. No WRC event has gone here before, but it's sure that they'll go back again after the success of this year. Loeb had a torrid time again, and could only manage 7th, only managing to outscore Rautenbach who had finished 8th. 6th was a Polish rally champion and mayor (!) who had turned out to compete on his home event, and had the name of... and I hope I get this right, Krzysztof Holowczyc. Don't ask me how you pronounce that. 5th was Matthew Wilson, 4th was Petter Solberg who was back on form after the battering he had in Greece. His Brother Henning was 3rd, Dani Sordo was the top Citroen, and Hirvonen won, again. To the 1000 Lakes of Finland. It's hugely fast, very smooth gravel, and populated by lunatic Finns. So who do you expect to do well. Finns of course! 8th place went to a Briton, Wilson. 7th was a Finn called Jari Ketomaa, 6th was Ogier, 5th was a Finn called Matti Rantanen, 4th was Dani Sordo, 3rd was a nervous Finn called Jari-Matti Latvala, 2nd was Sebastien Loeb, and 1st was a Finn called Mikko Hirvonen. Interesting pattern. Unfortunately for the two Norweigans, the event didn't go very well at all with Henning finishing 30th and Petter failing to finish at all. Another Finn called Kimi Raikkonen turned up. Apparently he's some sort of racing driver, who drives for Fiat in some international single seater racing championship or other. He was driving a S2000 Fiat Punto, and did a typical racing-driver-gone-rallying performance. That is, he went stunningly quickly, then had a huge accident. He was OK afterwards though, and is still driving those single seaters, but apparently he wants to make a step up into the WRC full time in the future. And good luck to him. After this, Petter lost patience with his Xsara and bought a newer C4, but missed Rally Australia whilst he was testing his new car. Talk of a manufacturer drive started to follow the popular Norweigan in his absence. By now, Hirvonen had got the lead on the championship, and had turned into a real contender. Turning upside down has strange effects on some people. It returned Rautenbach to his natural state of being upside down and he came in 17th. It had a stranger effect on the previously resurgent Khalid Al Qassimi, who finished 20th. Villagra got the point for 8th instead, Henning took 7th, Wilson got 6th, Latvala celebrated 2 rallies on the trot without ruining another car in 5th, Ogier returned to form with a 4th place, and Sordo came in 3rd. Then there was a fight, and Sebastien Loeb won – with Hirvonen second. 17 seconds covered the first 3 cars, which after 3 days and hundreds of miles is pretty impressive. Back to Europe for the Tarmac rally in Spain. Don't ever bet against the Citroen drivers being bad here, they're exceptionally good. Parking his new silver Citroen C4 in the service park was Petter Solberg. And he got to work with it straight away, the rumours kept following him though. Evengy Novikov had also left the Citroen Junior team after one crash too many in Finland. 8th place, beating Henning Solberg, was Villagra, proving that he's at least consistent, Wilson was also pretty consistent with his 7th place, 6th was Latvala, 5th Ogier, 4th was Petter Solberg who was clearly delighted with his new car, 3rd was Hirvonen, 2nd was Sordo and 1st again was Loeb. That result has set up an awesome showdown this weekend in Wales. With one point separating the top two drivers, it's bound to be close, who will win? Come back tomorrow for part 3! Okay, I know this is a F1 Blog, but you guys like motorsport, this is motorsport, hey, lets see if you like it or not! Regulars to Wheelnuts will remember my WRC Previews. If you're new, read it anyway. If you're new to the WRC, why not ask a question in the comment box down there. The WRC is about to finish it's season, and it's going right down to the wire in the UK with a winner takes all fight between the master, Sebastien Loeb and the young flying Finn, Mikko Hirvonen. Hirvonen leads Loeb by only one point, so Loeb only needs to beat him by 2 points or more to take the championship, Hirvonen must finish ahead of Loeb at all costs! If the scores are tied (i.e. if Loeb finishes 8th and Hirvonen fails to finish) Loeb wins on count back. I've split this into two parts. This first two parts is going to be the story of the season, then part three is the event preview. Here we go then, 0 car clear, Stage is live! For the first time in my memory, the WRC kicked off away from Monte Carlo, switching to the relatively new ground of Ireland. The change was prompted by a rotation system, but more about that later. The teams lined up with new comers in their ranks, all in the M2 category for customer teams. Once again, reigning champion Sebastien Loeb would drive the Citroen C4, with Spanish driver Dani Sordo. Their only manufacturer team rivals were the Fords, since Subaru had left at the end of last season. Mikko Hirvonen and Jari Matti-Latvala drove the Blue Oval's cars. Interestingly, both manufactuers had favoured drivers with different surface specialities – Citroen's drivers prefer Tarmac, whilst Ford's pairing prefer loose surfaces. In M2, Stobart returned with Matthew Wilson, Henning Solberg and Urmo Aava – In Ireland Aava and Solberg were to score points. Citroen took the wraps off their new junior team with ex Subaru driver Chris Atkinson, Russian Evengy Novikov, the hapless Conrad Rautenbach and Impressive JWRC champion Sebastien Ogier on their books. All 4 ran in Ireland, but Atkinson and Rautenbach were scoring points. It was not the best of weather on the tarmac roads of north Ireland, and Atkinson's inexperience with the powerful Citroen showed when he slid off the road and took out a telegraph pole on the first day. Rautenbach also faltered as did Ogier, whilst Latvala had a disasterous event and finished 14th. The points scorers on the event were Khalid Al Qassimi driving the 3rd Ford works entry (by virtue of being a sponsor!) who scored his first WRC point in 2 years of trying by finishing 8th. Matthew Wilson came in 7th showing that stobart probably should have nominated him for points instead of the inexperienced Aava, Ogier had managed to recover to finish 6th but was clearly uncomfortable in the powerful C4 after dominating the JWRC in the much less powerful C2. 5th was Atikinson who had done a great job to recover from his accident, and scored useful points for the Citroen Juniors, whilst in 4th was Henning Solberg. Hirvonen had a torrid time on his least favoured surface and came in 3rd, leaving the top two spots to the Citroens. With Loeb taking yet another win. As we'd all expected anyway. The circus moved on to the frozen north land of Norway. The only snow rally on the calendar replacing Sweden on the rotation plan. You can positively rely upon the Scandinavian drivers to put on a good show with their mastery of the ice, and they didn't disappoint. But, they didn't win either. Maybe it was the wider, less grippy snow tyres (still complete with 450 tungsten tipped studs), Maybe it was their cars, Maybe they made too much use of the snow banks? Who knows? Back for his home event with his winning charm, smile, and insanity, was old favourite Petter Solberg, who had bought an old Citroen and was looking forward to putting on a show (which he did, winning the superspecial and indulging in some out of the car antics again), and another pair of Norweigans returned with Subaru Imprezas with partial support from Prodrive in Banbury, The aptly named Mads Østberg took the leading car of the newly formed Adapta team. He just missed out on the points. Ogier also didn't like the ice and finished 10th, and neither citroen Junior driver finished – Novikov ended his rally in a ditch, and Rautenbach wasn't much better. Journeying south, to the heat of Cyprus. The notorious car breaker was back again this year. Cypriot gravel is similar to Grecian gravel and falls into the category of “extrmely rough”. Some of the stones in that stuff are as big as bricks! There's huge jumps, it's very dusty, and there are big drops waiting to swallow the unwary. No pressure then. Khalid Al Qassimi decided that he'd like some more points, and came in 8th to gain another one to add to his collection. Already this was turning out to be the arabian's best year. 7th was Munchi's driver Federico Villagra. Ah, Munchi's! Forgot about them. The Argentina are back with Villagra and Henning Solberg. The heat and dust was too much for Henning as he went off, and finished 18th ultimately. 6th place went to Conrad Rautenbach, who had done something right for a change, and Matthew Wilson brought home 5th place for Stobart. 4th was the usually tarmac perfering Dani Sordo. Then the results got interesting. 3Rd, in only his 2nd event in the Xsara was Petter Solberg. His talent apparently undiminished from several years driving uncompetitive Subarus. There was a large party in his service area later on. 2nd was Hirvonen. Moving on to Portugal, another classic event that had returned this year. It's hot, it's dusty, but smoother than Cyprus. There are still huge drops though – one of them disposed of Jari-Matti Latvala, who slid his Ford into a barrier, somersaulted over it, and rolled down a cliff! He and Mikko Antilla were ok, but the car is quite possibly what you just drank your beer out of. Malcolm Wilson, the team boss was not happy about this latest accident, and questions asked about Latvalas future career. Al Qassimi was making a habit of picking up single points in his Ford with another 8th placed finish, Villagra finished 7th again, Mad Østberg went better in Portugal than he did in his native Norway with 6th, Henning Solberg took home 5th place after his disappointment in Cyprus, 4th went to his Brother who was still learning how to strangle the best out of his upgraded Xsara, Sordo took an unexpected 3rd place, Mikko Hirvonen took a totally expected 2nd and the 1st place went to the driver you've probably expected all along. Across the big pond, to Argentina. This is a high altitude, high speed event, with ludicrously enthusiastic spectators, and long distances. 8th place went to someone totally unexpected. Nasser Al-Attiyah. He wasn't driving a WRC car, not even a S2000 – he had a Group N car, and had kept out of trouble to get him to 8th place – a feat helped by 3 retirements from the WRC runners. Petter Solberg retired with technical problems, and Rautenbach and Hirvonen both failed to finish. The rest of the top 8 were all Team point scorers, Ogier came in 7th, Latvala was relieved to finish for once in 6th, 5th went to Wilson, Villagra did very well at his home event in 4th, but Henning Solberg went one better and finished 3rd. 2nd was Sordo, and if you really have to ask who was 1st then you haven't been paying attention. Well pay more attention then. Loeb of course! ... I have been mostly playing with this. Today I've been wrestling that camera around Newport on a bus trying not to drop it. It is phenominally expensive! I'll explain more later... Now is the time for sleeping. Last night, I got very depressed. This happens. For some daft reason I've got lots of work on the go, and not being paid for any of it! I got chatting to a camera man last night [at a radio concert ??] and he basically confirmed that yes, there's plenty of companies doing things out there... and no, they're not taking on. Add to that applying for a placement that I knew that I could do, but being turned down for not having the right degree. I've never even heard of a BA in Interactive Digital Media, so good luck to that company if they're trying to get someone with one of those to do high definition web based videos for them : Something I've been doing for ages. Anyway, got back from the concert, which was fantastic, as usual and well worth a listen when it comes onto BBC Radio 3, and sulked for a bit. Wondered what my next move was... considered giving up on television and video altogether. Watched a few silly videos on youtube (Alex Budovsky's animations are great if you're in need of a giggle, look them up), then realised that I needed to prepare a video for the Cadets tonight. So fired up Final Cut, and found the autotesting video that was part of RST. Set to work, and by the end of it all (01:30 this morning) wondered why I ever considered giving up something that I do enjoy, paid or not, and today I'm working on some new treatments to send off. Hopefully one of them will turn up trumps. Onwards! Quick question for any Mac Users reading this... Has your browser started acting funny? I think the latest version of Flash is causing some problems with it, as whenever I visit a site using flash (or try to upload something), it crashes on me. I thought it was just a safari problem, but firefox is also doing the same thing. Is it just me? A message to Red Bull. Don't advertise a live stream of an event in the UK if you have no intention of broadcasting it here. I was really looking forward to watching it today, as a British Pilot (Paul Bonhomme, who flew the mustang at Goodwood) was in a position to win it. Turn on the live stream that you organised, and nothing except a message saying : "In respect to our broadcast partners the stream will not be available in Spain, UK, Germany, New Zealand, Taiwan, Malta and Australia." - a Message that I had not previously notice during the run up to the event. What Broadcast partners? I haven't seen the air race on any UK station all year. It used to have a terrible programme on Channel 4 (well, I say terrible, but in fact very good for a commercial station). And that wasn't live. 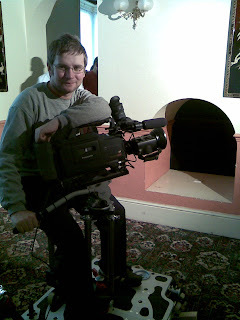 If you want a decent programme first get the BBC interested then M&W productions will be happy to produce live coverage for you for broadcast in the UK, at a competitive price too. You were building up the live stream on Youtube, on your own website, on the pilots websites, and you go and stick the knife in the back by suddenly announcing the lack of UK coverage hours or so before. If you don't care about the UK, I would suggest you don't bother coming back.